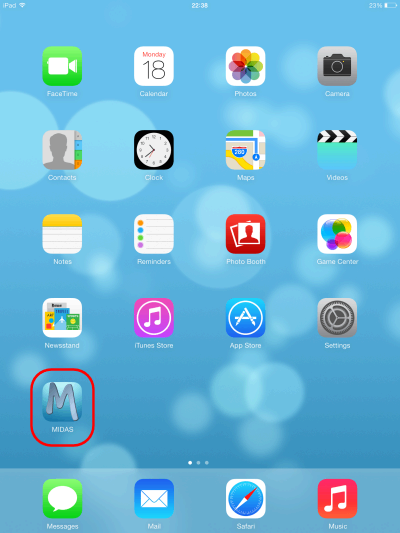 MIDAS will then be available directly from your device's home screen, where it will behave just like your other iOS apps. 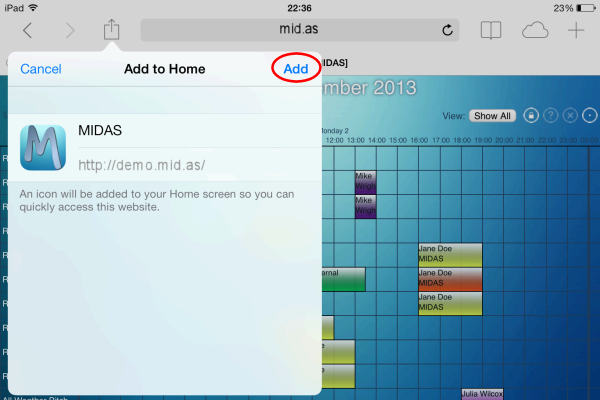 Adding MIDAS to your home screen has the additional benefit of allowing your MIDAS booking system to open in "full screen" without the traditional browser address bar and icons, etc. 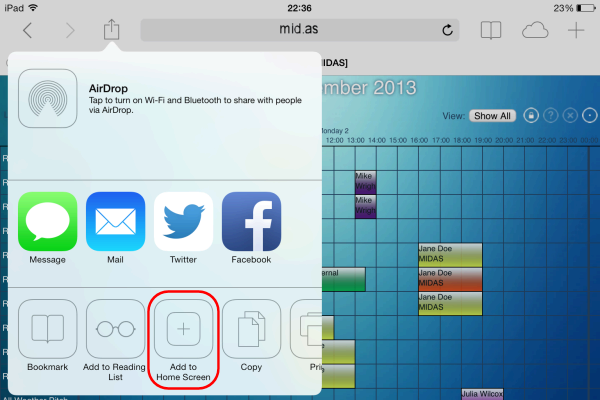 For quick one-touch access to MIDAS, be sure to select the "Auto-Login" box on your MIDAS login screen when you first login in via your new Home Screen shortcut. That way, when you subsequently open MIDAS again from the icon on your home screen, you'll bypass the login screen and go straight to your bookings! Is there a smartphone app available for MIDAS?